Four years ago this month, I did a body of work for The Dallas Morning News’ neighborsgo covering Veterans. It quite possibly was my favorite photography work other than hanging out with buffalo in South Dakota. Please check out the captivating work by Suzanne Opton on Studio 360 today as well as other amazing stories on the site. Studio 360 is my favorite journalism. Take time to browse it — even if you have strong opinions about the military. I haven’t posted my poetry here before until now. Many people have told me that it’s not wise to post poetry publicly on websites because you may want to publish them someday. But I’m at a point in my life where I would just like to share when I can, in the forum I choose, because keeping words all to yourself defeats the purpose of expression. I won’t post all of my works on this blog, but here and there I become inspired. A man’s heart away from nature becomes hard; lack of respect for growing, living things soon leads to a lack of respect for humans too. I think of this saying often when I fall into the routine of not taking in enough moments of nature that I appreciate when I am surrounded by it. 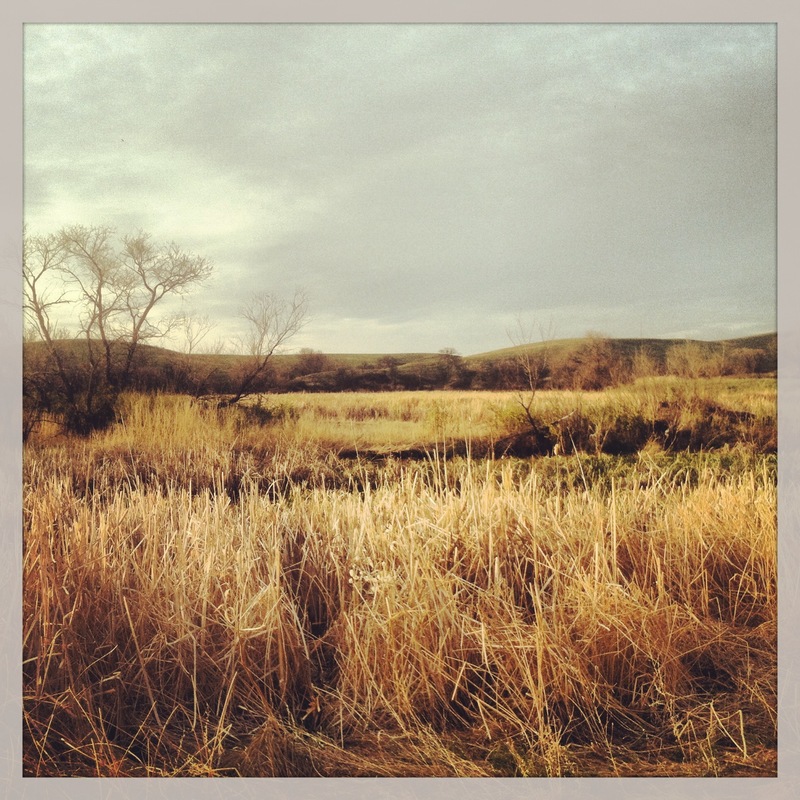 Living in South Dakota was a treasure trove of beauty. The city and suburban life of Dallas/Fort Worth gives you pockets of green space but nothing like what you experience in places that are encompassed in scenery. Yesterday I decided to walk outside to the backyard, sit and take in such a pocket. 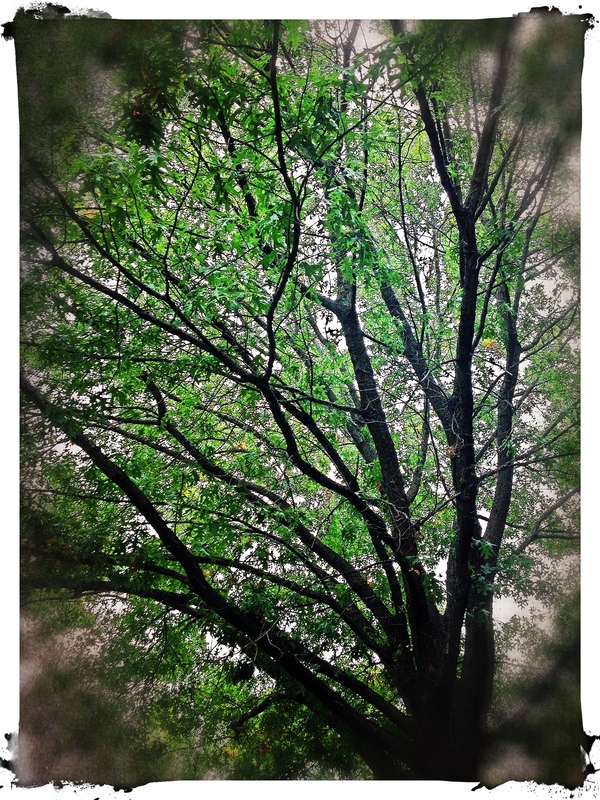 with the patter of rain. The below story is one of many I had the opportunity to write for tankabar.com and was originally posted on Oct. 23, 2013. 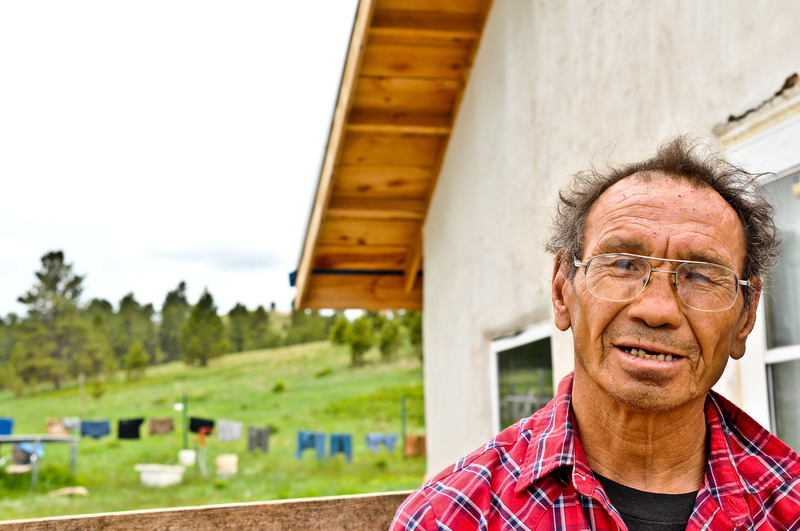 I am reposting here as it was another experience that I truly enjoyed during my time on Pine Ridge. I shot all of the photos in this story. 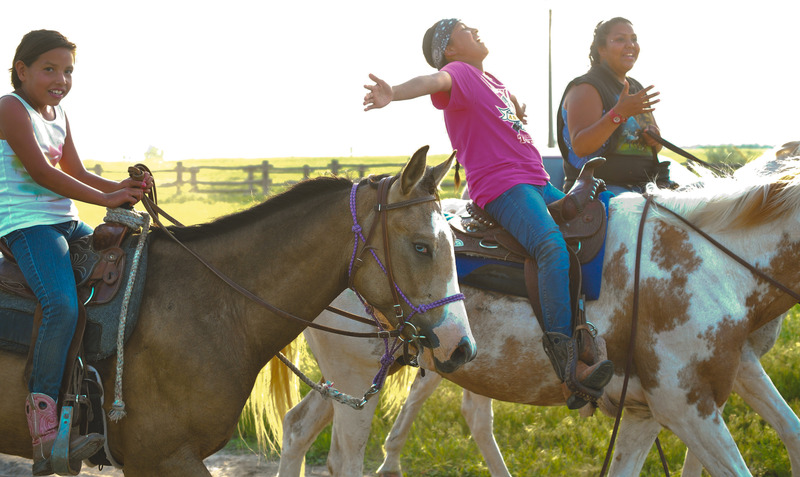 A little before the cooler temps and snow of autumn reached the Pine Ridge Indian Reservation, SD, one local organization hosted a special camp for youth to reconnect to their Lakota culture. 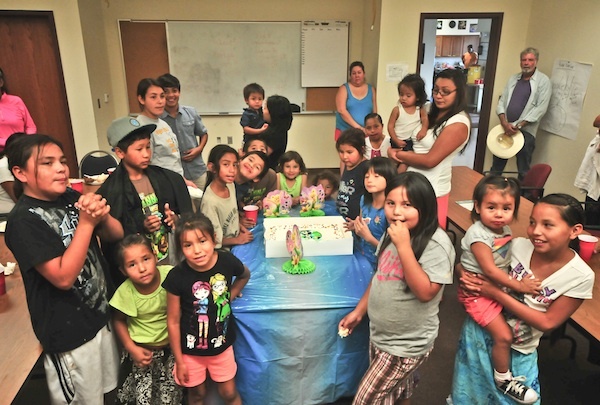 Located in Porcupine, SD, Wakanyeja Woapiye Wicoti (Children’s Healing Camp) focuses on young people ages 7-12 who have experienced trauma, loss and/or grief. Knife Chief Buffalo Nation Organization created the camp in partnership with Medicine Horse Society. 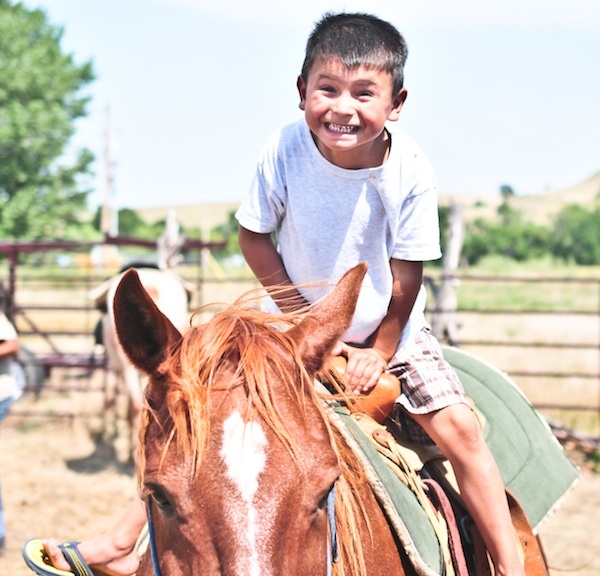 Lakota Oyate Wakanyeja Owicakiyapi, Inc. (LOWO) is a tribal child welfare agency on the reservation that brings some of their children to the nearly weeklong event. Susan Hawk, a family support specialist at LOWO, said the camp is a place where these children can feel comfortable. The camp allows parents of children in foster care who are working with LOWO to attend the camp as a safe place for them to reconnect with their children. In some cases the camp is the first time these families (including siblings) get to see each other in over a year. Everyone participates in traditional ceremonies and work on craft projects. 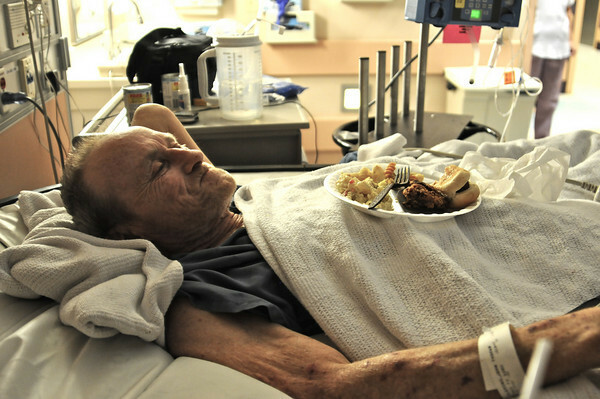 Camp attendees also eat three meals a day, which are made possible by donations. Part of the camp took place in a community building in Porcupine and laughter flowed throughout as volunteers worked together to serve food and tend to children’s needs. “Everyone is supportive and helpful,” Ms. Hawk said. 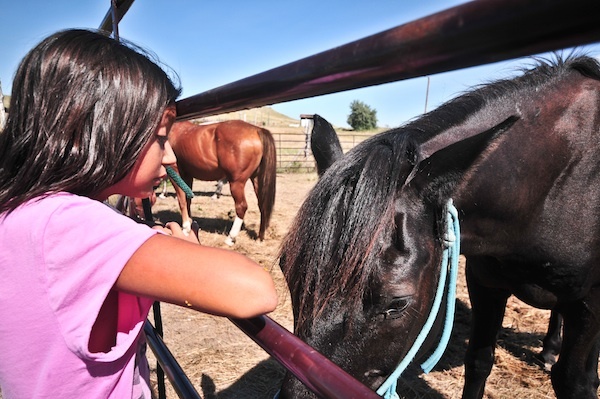 One day of the camp offered children an opportunity to ride and interact with horses. Each small face lit up as they reached out to stroke their horse before they were assisted on top of saddles to ride as adults pulled the reigns. Several children remarked how much fun they were having and wanted to keep taking turns to ride. This is the second time the camp has been in operation, which runs mostly on donations and fundraising efforts. Camp director Ethleen Iron Cloud-Two Dogs stayed busy keeping things running smoothly and organizing all of the volunteers. She expressed the importance of having all of the tipis up during the camp for everyone to stay in and explained the purpose of the structure. The Child Protection Office of the State of South Dakota has stated that over 60% of children in foster care are Native American. 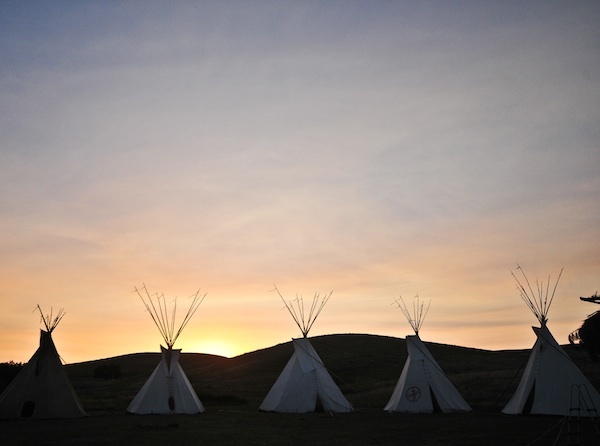 Emily Iron Cloud-Koenen , executive director of LOWO, said the camp helps Lakota children strengthen their minds, spirits and bodies. For more information about Wakanyeja Woapiye Wicoti, visit Knife Chief Buffalo Nation Organization. 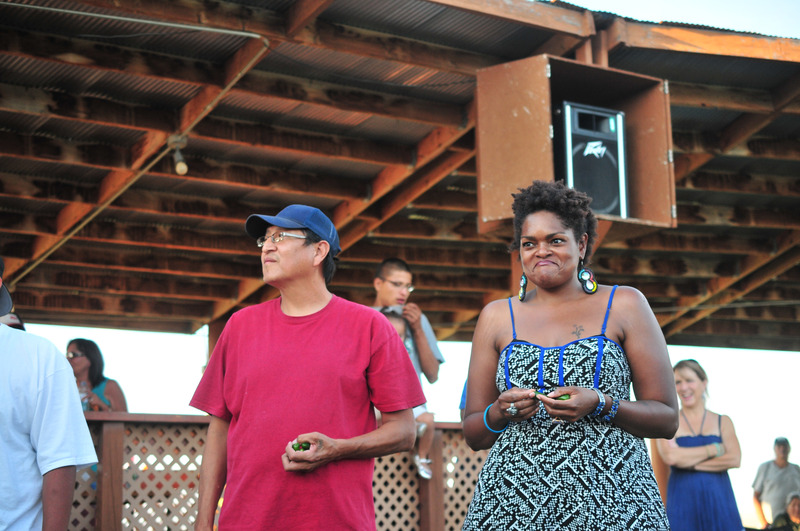 Since living on the Pine Ridge Indian Reservation, I’ve had the opportunity to attend a lot of the regular events that take place over the summer. Many of them I still haven’t uploaded all the photos from yet! But I have to say that my favorite by far is the Wazi Paha Festival which took place on the Oglala Lakota College Pow Wow Grounds. There were so many things to enjoy — fresh garden veggie contests, tug-of-war, sack races and pow wow competitions including Switch Dance where the men and women swap regalia and dance routines. That was probably one of my favs. My friend Corey is in the center of this photo in the jingle dress he made. The Men’s Switch Dance was a fun competition to watch! A little later there was a jalapeño-eating contest and I don’t know what got into me (probably the Texas roots) but I entered it. My friend Shannon took photos and I proceeded to be handed about 10 small jalapeños. Each contestant received two large peppers but they ran out of the large ones by the time I decided to join the contest. Other than one other person, (standing next to me in this photo) I was the only one who had to eat a bunch of small ones to make sure things were fair. You can see my response to that below. You never know who you will bump into when you venture out. 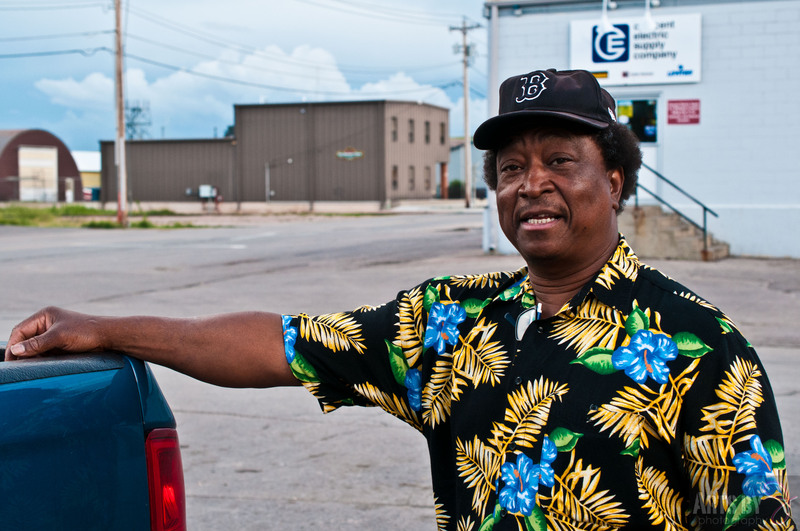 Last weekend I met the FIRST black fireman of Rapid City, SD — been there since the 70s. He flagged me down at a gas station because he saw my Texas plates — where he’s from originally. His name is Stanley “Mr. Candy Man” Kinnard. He told me I had to put that in there. He was with his teenage son who just smiled because this is the kind of thing his dad just does. When I asked Stanley what his name meant, he said to guess and I of course referenced Sammy Davis, Jr.’s song (the correct assumption). I admitted that, in today’s times, folks assume that means dope dealer. He agreed. This man can talk. And mostly he told me about how he often threw block parties to give families safe things to do together and how he tried to mend fences between people — gangs even. As we were standing there talking, several people honked at him as they drove by — many of them were just kids when he first met them. He invited me back to play dominoes and although I was tempted, I had plans for the Sturgis Motorcycle Rally. I told him I would post him up on the internet and gave him my card. Maybe I’ll take him up on dominoes before I go. The nonprofit organization Earth Tipi organized several fruit tree plantings this year throughout the Pine Ridge Indian Reservation which was part of a grant secured by the Fruit Free Planting Foundation. 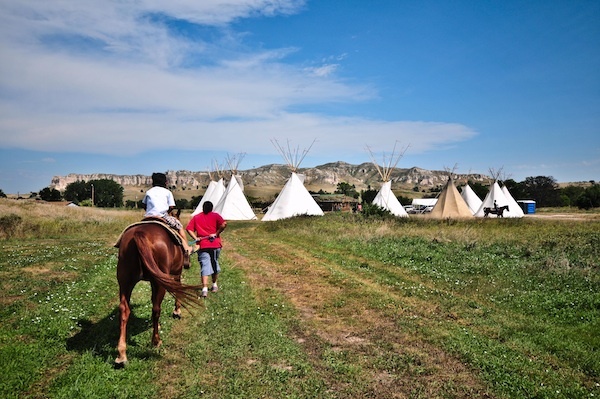 Through the grant, Earth Tipi facilitated planting 300 fruit trees at Little Wound School, Red Cloud Indian School, Thunder Valley Community Development Corporation, Whiteclay Soup Kitchen and Oglala Lakota College. 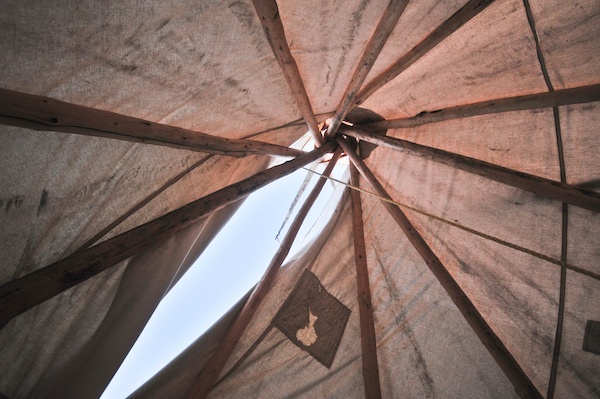 Located on the reservation in Manderson, SD, Earth Tipi works to empower and encourage the community to be self-sufficient by teaching them to grow organic food and build natural homes. Head up by Shannon Freed, Earth Tipi features two natural-built homes (one still in progress) on her father-in-law Gerald Weasel’s land. Along with building projects, the location acts as a teaching destination where community members and visitors can learn skills such as permaculture, plant identification and living off the land. 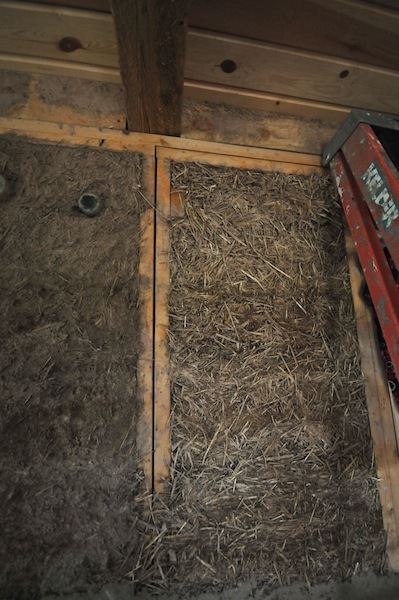 The walls of the second home at Earth Tipi are wood-framed and made with clay and straw. They were later plastered with fine white clay and sand with milk as a binder. 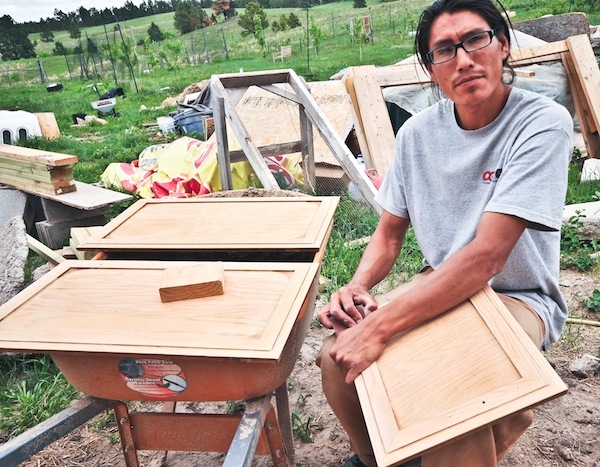 Adam Weasel sands cabinets meant for the second house Earth Tipi built on the Weasel family’s land. 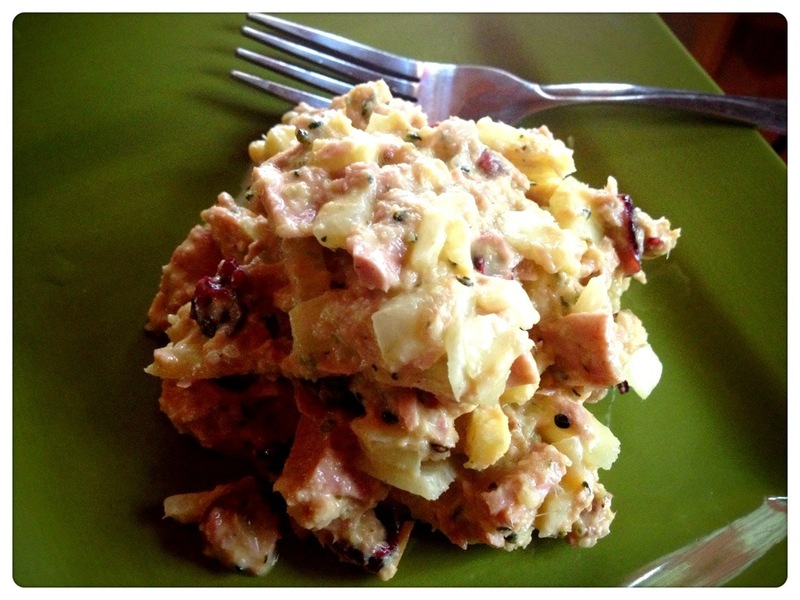 Sometimes you just have to decide canned tuna is good enough. Especially if it’s not a regular staple of your diet. And especially when you are low on funds and living in a food desert. Mind you, regular old tuna isn’t as cheap everywhere as you’d think. It’s nearly $3 here in Kyle, SD. So when I had to go into the city (90 miles out) this weekend for groceries from my favorite natural food stores, I opted for the 100% pole and line caught (a sustainable fishing method) chunk light because guess what? It was only a few cents more. The thing about canned tuna is you can literally throw anything at it and it’s tasty. At least that’s something I’ve always thought! Possibly makes me weird… Anyway, below was the result of throwing things at tuna. Pretty tasty. I make my own mayo and mixed this with fresh cut ginger, onion, dried cranberries, hemp seeds I got on sale and a few squeezes of a lime. It’s such a standard American diet thing to crave bread or crackers with something like this but it was just fine alone. I did forget sea salt and pepper at the time of this cell phone pic. Definitely do sea salt and pepper. I know that some paleos avoid canned tuna like the plague but sometimes you do what you have to and be grateful! And gratitude is a delicacy. Once again I forget my camera! Yet another cell phone pic. This was my first Mother’s Day away from Texas. There was one year I worked for a small newspaper in North Platte, Neb. But that was one time in my 35 years. I know I’m not a kid and that Mother’s Day is a big commercial, consumer-based holiday…but it would have been nice to have seen my mom. I’m a 30-something though and seriously, you aren’t always going to see your mother on Mother’s Day — especially while chasing your dreams. Or just chasing experiences. I haven’t decided which I’m chasing yet! Well anyway, this was a different kind of Mother’s Day. It has been bright and warm lately around South Dakota. We finally thawed out and seeing the sun again. The familiar golden undertones of sun-kissed skin have returned. The air is so fresh here. You just breathe in and it’s like bringing the purest form of nature into your lungs. My friends next door were having a cookout and invited me over. I love any reason to be outside. But really, no reason is needed when it isn’t freezing anymore! Their land is lovely. It stretches for quite a ways and sprawls across hills. There is a creek that runs through and the water is lined with currants. We took a walk around the land and up to the hill where their family gravesite is located and spent some time clearing away plant debris. It was a nice evening and I imagine a beautiful way to honor their matriarch. I just feel blessed to be invited to places and getting to know people here. It is a different world with so much to discover and appreciate. Even amongst some of the harder things one might expect from a reservation. But what is a definite is the strong sense of family. People at least make a point to spend time with each other even in busy times and busy lives.